With the Dual BIO Handgun Holsters by Jotto Gear, you'll now be able to lock-up 2 handguns and have quick access to the handguns when you need them most. The Dual set includes: 2 Handgun Holsters with mounting brackets and one Biometric Fingerprint Reader. Proudly made in the U.S.A. Featuring a familiar holster design, but made with steel, each BIO Handgun Holster by Jotto Gear comes with mounting brackets to give you a choice of where you want to lock your handgun when you can’t carry or everyday mounting; it can easily be mounted horizontally or vertically in your vehicle, home or office. Made in the USA and designed to fit most* semi-automatic handguns, the BIO Handgun Holster features a unique Quick Flip Locking Bale to lock the handgun in the holster and a proprietary biometric fingerprint reader that can store up to 99 fingerprints and unlock the unit quickly for fast access. The BIO Handgun Holsters also work with most tactical lights and laser grips. Each lined, steel holster body keeps handgun clean and free of scratches. 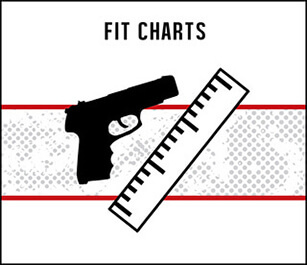 *Review the Handgun Fit List to see what semi-automatic handguns are compatible with the NRA® Handgun Holster by Jotto Gear.